Established in 1954 to provide services to the petrochemical and mining industries, Caman Engineering is now Australia’s largest independent valve and pipeline flange stockist and manufacturer, with factories in Sydney, Melbourne and Perth. 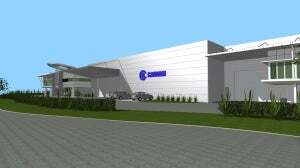 Caman is in the process of building new larger premises for its Sydney operation, which it expects to be completed in early 2014. The expansion will include 80 per cent more warehouse storage space and an increased manufacturing area with new CNC machines to reduce in-house machining and drilling times by 30%. Caman is a family-owned company, with the same family who began the business still involved in its daily operations. The business was built on the premise of customer service, and its dedication to meeting client needs has played a large role in its success. Every effort is made by Caman’s staff to not only meet but exceed customer expectations, with high quality products delivered in line with required project completion dates. The company’s experienced sales team is entirely customer-oriented and dedicated to providing the best expertise, advice and customer service in the industry. Caman manufactures pipeline flanges from locally produced plate and forgings, and also stocks imported flanges. It also became a leading Australian manufacturer of heat exchanger tubesheets and baffle plates after investing heavily in state-of-the-art computer-operated drilling machinery. Caman is an approved manufacturer and supplier of pipeline flanges and heat exchanger components to all the oil and petrochemical companies operating in Australia; it is accredited to comply with Quality Assurance Standard ISO 9001, and is accredited to PED by Lloyds. Some of the more specific products the company supplies and manufactures include pipeline flanges up to 2,700mm diameter; tubesheets and baffle plates; spectacle blinds, dished ends, spacers and spade blinds; test blinds and industrial valves; orifice plates and flanges; nozzles and long weld necks; and CNC machining of special flanges. Caman also provides 24-hour emergency breakdown machining and supply services. Caman’s sales team welcomes enquiries and will happily assist with requests for information.